Everyone knows that Vitamin D is the “sunshine vitamin.” You experience a lack of it if you live somewhere with no access to sunlight all year long. It’s a popular vitamin these days, and many people are constantly looking for the best way to get more vitamin D in their lives. You may have heard that it saves you from depression, migraines, chronic pain, and even damage to your vision – but do you know just how helpful is vitamin D for heart disease? 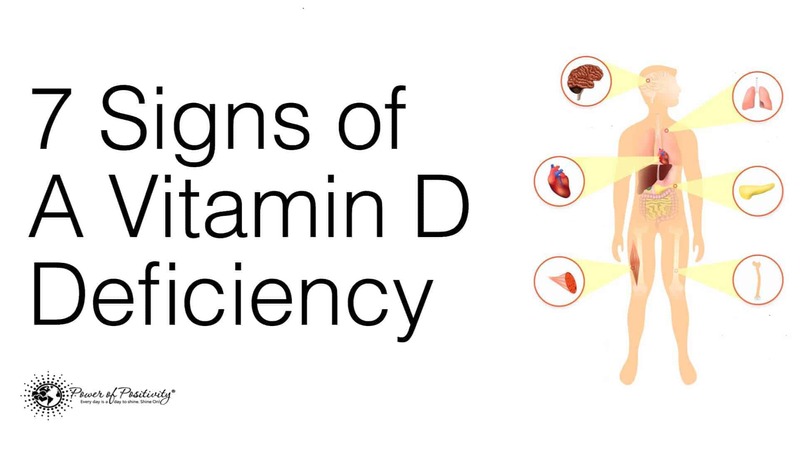 Despite knowing how useful vitamin D can be for so many things in our lives, research still shows that over 40% of Americans suffer from a vitamin D deficiency. Incidentally, heart disease is one of the most dangerous killers in modern America. So how does monitoring your vitamin D intake actually help your heart? A new study has found out that the “sunshine vitamin” actually has a very big effect on the endothelium, a.k.a. one of the main conductors of the vascular system. By keeping a healthy endothelium, you can ward off many diseases such as atherosclerosis, diabetes, cancer, high blood pressure, and many others. Incidentally, all of these can directly or indirectly lead to heart disease, too, which is how you can ensure you’re staying healthy if you have enough vitamin D.
The scientists from The International Journal of Nanomedicine have found out through a pioneering method of nanotechnology that one of vitamin D’s sub-level variations, vitamin D3 (very commonly found in oily fish) not only decreases the level of stress on the cardiovascular system but it also helps ensure healthy blood flow and battling blood clots, which again can lead to heart and brain disease very quickly. More importantly, though, the scientists performed tests on people who had already suffered a heart attack – and the results were nothing short of astounding. 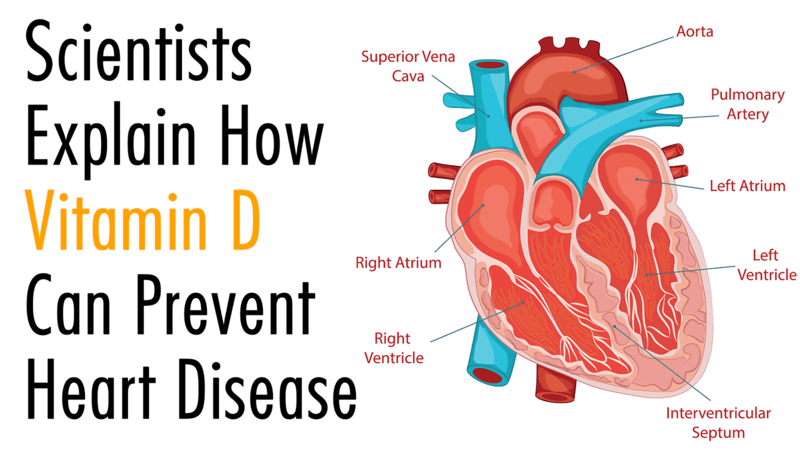 They found out that Vitamin D3 not only fed the endothelium, but it also restored any damage to it that was caused by heart disease. So, taking Vitamin D doesn’t only turn into a preventative measure. It helps ensure recovery if you have been through a heart disease. So, according to science, you can protect yourself from a heart attack with enough vitamin D for heart disease. Or you can even look to restore your health after you’ve had one. But what are some great sources of vitamin D? Take a look at some natural sources of the useful substance that can literally help heal your broken heart. Those straw-like Japanese mushrooms may seem weird to you, but they actually have a very big concentration of vitamin D and are available in most shops. Toss them in a stir fry or in any other dish where you’d normally use mushrooms and you can be sure you’ve got your vitamin dose for the day. As already mentioned, fish, especially oily fish, is a great source of Vitamin D3. The best fishy choices for adding more vitamin D to your diet are salmon and halibut. But if you don’t like cleaning freshly caught fish, canned tuna is also very rich in the vitamin and can bring the same results. Keep it on hand for salads, sandwiches, and tuna melts and get your daily dose of Vitamin D for heart disease without thinking too much about it! That might sound a bit counter-intuitive, but actually a lot of dairy-free milk – like almond milk or oat milk – are fortified with vitamin D, which can sometimes make them a lot healthier than their dairy counterparts! Make sure to do some experimenting to see which one you like best. Once you find the dairy-free milk you enjoy, it won’t be very hard at all to make the switch towards a healthier life. Because it is a wonderful natural source of vitamin D, consuming eggs in moderation can be good for your heart. Don’t overdo it though. The positive results only come if you can make sure your intake is well regulated! You don’t want to make your cholesterol too high, after all. Even children know that you get vitamin D from the sun. Of course, prolonged exposure to the sun’s UV rays isn’t healthy for anybody but try and make sure you get at least a bit of sunlight every day, whether while going to work or just sitting on the balcony. It’s not only good for your heart but it also helps with depression. Just the power of positive thinking won’t be enough to save you from heart disease. 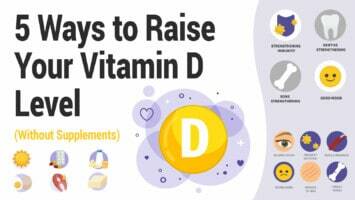 As this research has shown, Vitamin D, and especially D3, have a lot of good reasons to be lauded as the most useful vitamins you can take. Make sure to get tested for vitamin D deficiency and if you do have it, act quick, because you don’t want to put it off for too long.